Tree Services in Charlotte | Tree & Stump Removal, Costs, etc. Costs – Need to have a few branches cut off that tree or the whole tree removed near your house or place of business in Charlotte, North Carolina? Need a stump removed? We have all the statistics you need for figuring out your cost ahead of time. FAQs – Learn more about what types of trees grow in Charlotte, including the best kinds of fruit trees and most common types across the city. Also learn more about what to expect of the city when it comes to power lines and trees, along with insects and diseases to watch out for on trees in Charlotte, times of the year to best remove trees in Charlotte, plant hardiness by zone in North Carolina and the tallest tree on record in Charlotte. Services – Now that you know what your costs might be to maintain or take down a tree or stump in Charlotte, talk to the specialist close to you by consulting our list! How Much Do Tree Services Cost in Charlotte? Charlotte may be the largest city in North Carolina, but it boasts plenty of green amidst the financial buildings and shopping centers. While there is an effort to keep Charlotte green, there are some cases when tree removal is necessary. If you find yourself in this position, cost shouldn’t prevent you from removing an unsightly tree or stump in your yard. Here are the average costs for various tree maintenance services in the area. How Much Does Tree Removal Cost in Charlotte? The cost of tree removal will always vary depending on the size of the tree, how close it is to buildings or power lines and how deep the roots are. Our research puts the average costs between $585 and $807 for tree removal services in Charlotte. How Much Does Stump Removal/Grinding Cost in Charlotte? If a tree has been removed but the stump remains, you may want to have it ground down to its base. Research shows that Charlotte residents can expect to pay between $80 and $133 for stump grinding service. Removing the roots of the stump will be more because uprooting the stump will take more time and effort. Residents can expect to pay $450 for stump removal services in the Charlotte area. How Much Does Pruning and Maintenance Cost in Charlotte? Your trees might require pruning, cutting or general trimming and maintenance in order to look their best throughout the year. On average, homeowners in Charlotte can expect to pay $288 on average for tree maintenance, but prices can change depending on the size of the trees, height, number that need to be trimmed, pruned, or cut, and the equipment that might need to go into their maintenance. The price range can vary between $266 and $310, depending on these factors and others. After a quick visit to Charlotte, visitors are able to understand why the city is often referred to by the nickname “The City of Trees”. The name came about because of official decisions to preserve the tree canopy, which helps the entire urban district to look beautiful and inviting. If you are interested in growing or maintaining trees in the city, here are some answers to the most popular tree-related questions. What are Common Tree Regulations to Know in Charlotte? As part of the city’s campaign to preserve as many trees as possible, property owners require permits before they remove any trees on their land. If you already have a landscape permit, then you don’t need a removal permit. You can get both permits (PDF) from the Charlotte Land Development Department. There are strict regulations (PDF) for commercial and residential tree planting when it comes to power lines. Small trees that will not grow taller than 20 feet can be planted under lines, but all others must be planted at least 50 feet away from power lines. Any trees planted near transmission lines must be approved by both Duke Energy and City Urban Forestry. When is the Best Time of Year to Remove a Tree in Charlotte? Rather than focusing on the best time for tree removal in Charlotte, start by eliminating the worst times. Summer is not ideal because you will want to enjoy your landscape. In the spring, you may lose birds nesting in your trees. In winter, the occasional snow may be a problem. Therefore, October and November are often the best times to remove trees in Charlotte. 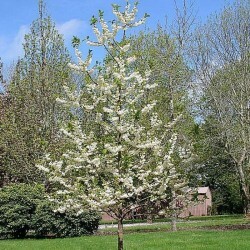 What are the Most Common and Uncommon Trees in Charlotte? The official state tree of North Carolina is the pine tree. With the scientific name of Pinus palustris, pine trees are the most commonly grown trees in the state, and they have been used commercially as timber and turpentine for decades. Charlotte has four distinct seasons and a humid subtropical climate. Trees that thrive in this environment, like the native pine, have to withstand a handful of freezing temperatures each year, and they also need to grow well in full sunlight. Any tropical trees will struggle in Charlotte. Although citrus like tangerines and lemons can thrive for much of the year, the frost of a North Carolina winter can stop it from fruiting properly. Pears and peaches are the most popular fruit trees, but figs also do well in this environment. Where are the Tallest and Shortest Trees in Charlotte? The North Carolina Forest Service keeps a big tree registry in order to supervise the survival of the state’s largest trees. 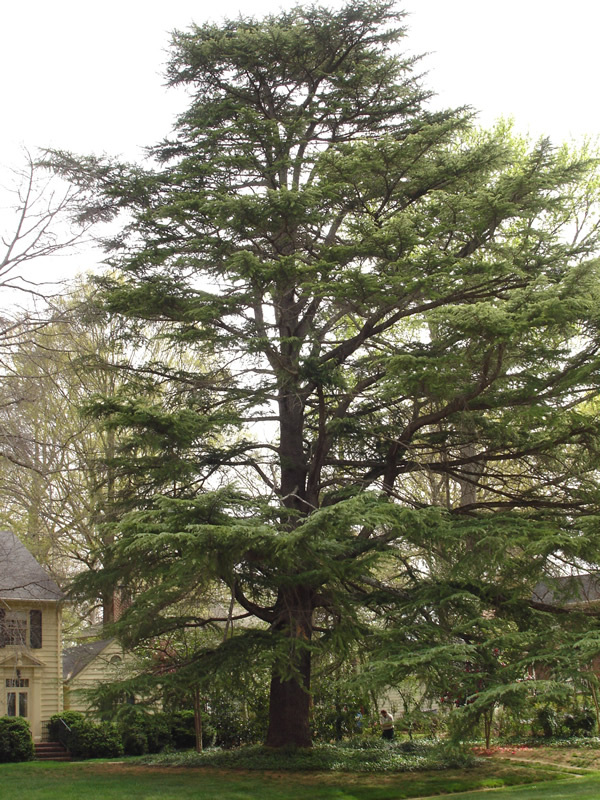 Although some trees are ranked higher because of their circumference, the tallest tree in Mecklenburg County is a 96-foot tall Cedrus deodara owned by Richard Ferguson. To see some of the smallest trees in the state, check out the newly planted ones at the Charlotte Creek Nursery. What are Common Tree Diseases in Charlotte? Laurel wilt, which is carried by beetles, is a common threat in Charlotte. It can devastate trees and kill them entirely in less than one month if not stopped. Thousand cankers disease is another problem for trees, and this is also carried by a type of beetle. Anyone who believes that trees on their property have either disease should contact the North Carolina Forest Service for treatment or quarantine information.